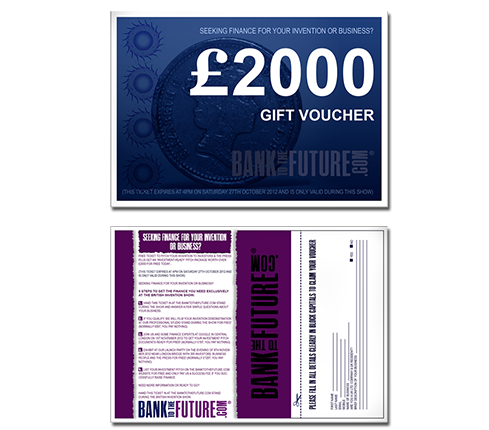 Even in this digital age, postcards can be one of the most effective way of marketing and making a personal contact with your present and potential customers. A nicely design postcard says a lot about your brand and is very significant in creating your brand perspective in users mind. At Designhill, hire professional designers who can create a postcard design to boost your business. He was wonderful to work with. We asked for many different variations during the design process of our logo and he was very patient in working with us until we found the one that worked best for us. Had a fantastic experience working with her throughout the process of designing my postcard design. I was so taken aback at how many concepts she came up with, how many revisions she made, and how patient she was with me. Personally I love the dental postcard design and can honestly say that she is awesome to work . I’m sure I’ll be working with her again in the future. Thanks. Stephanie has always been able to take an idea and turn it into something amazing. I love what she did with my automotive postcard design. This was my first experience with a graphic designer and it was a positive one. Woo your hotel's new arrival by gifting them a customised postcard. Make sure that your postcard design is made keeping in mind the theme of your hotel. Launch a contest at Designhill and get hundreds of designers to design an amazing postcard design for your hotel business. Your customers are mainly upper class people who would love your brand and become your repeating customer if you give them special attention. In such case nothing can beat the effect a personally design postcard can have. Make sure that the design is made keeping your brand in mind and the target customer. 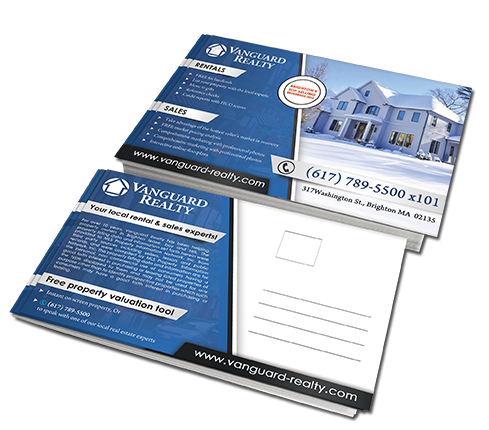 Sending a postcard to people regarding an upcoming property can be a great way to generate interest for the property. 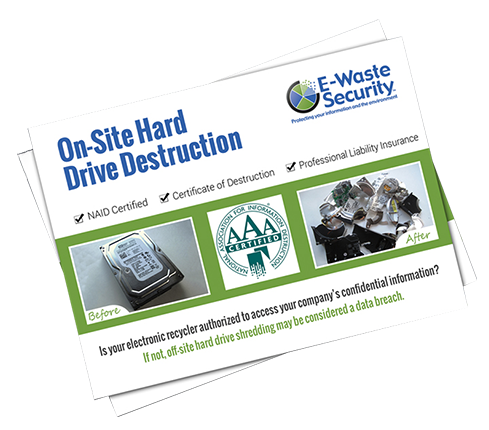 Make sure that the postcard has high quality image and catchy text. 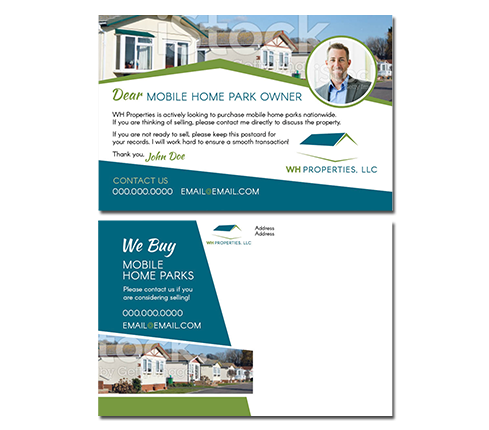 At Designhill, get designers to design an attractive postcard design for your real estate firms. What do you provide in postcard design? Files which can be used for printing purposes as well as to showcase the design online are provided. The files are in the format of- .ai, .psd, .pdf, .png, .jpg. The files for printing purposes are in CMYK color mode while that for online use are in RGB mode. You also get copyright for the design. Do I need to prepare something for my postcard design? Yes, you need to provide a design brief that includes a small description of your company, the design requirement, etc. This brief helps our designer to make designs matching your needs. Can I get more than one postcard design? Yes, you can. You can multiple postcard designs via following ways- choose from the entries that you have received or you can start a new contest or else you can work with the designer whom you have selected as a winner. Upload the image in the design brief that you want to be used in your design. Yes, we do. You can choose from several combo pack like- logo & business card design, logo & social media cover design and many more such combo pack. These packs can help you save hundreds of dollar. The designers would give you unlimited number of iterations till you are satisfied. The thing to note here would be that there should not be major design changes. To work with the same designer in the future you can start a one to one contest and invite the designer to work with you. Absolutely. Once you choose a contest winner then the designer submits all the files to you and you hold their copyrights. No, if you do not like the design then we refund your entire amount back. No question asked. Is there a way to make my postcard design brief confidential? To make your design brief you can choose your contest to be private. On doing so the designer has to sign an NDA to view your design brief. If you want you can upload your own NDA too. Also making your design contest private would mean that it cannot be searched on the internet. How can I get postcard design ideas? You can browse through thousands of unique and creative postcard designs created by top designers from around the world. You can message the designers to speak to them or even hire them if you like their work. Find the best postcard ideas and inspiration on Designhill. "Great experience . I recently used the service for postcard design, VERY pleased. Such a great process and opportunity to have your project completed by so many talented people." "Designhill is easy to use and the go to site for great designers. I continue to use them for all of my design work and will continue to do so. Easy to use, excellent designers and as always you get your moneys worth." 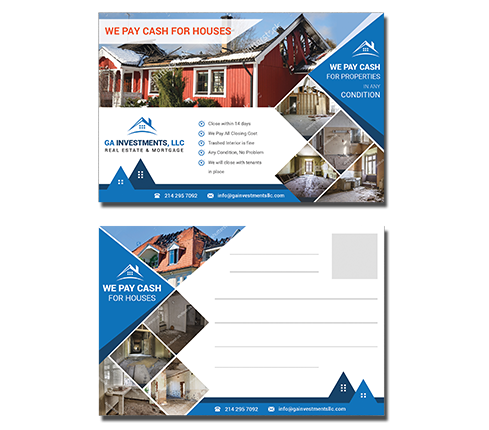 "Got Postcard design template for my business at very reasonable price. It was great experience with Designhill. Customer support was very helpful." Got Postcard design template for my business at very reasonable price. It was great experience with Designhill. Customer support was very helpful. "Got great business postcard design at no time. I am going to use Designhill again for my other designing needs. Keep it up the good work." Got great business postcard design at no time. I am going to use Designhill again for my other designing needs. Keep it up the good work.